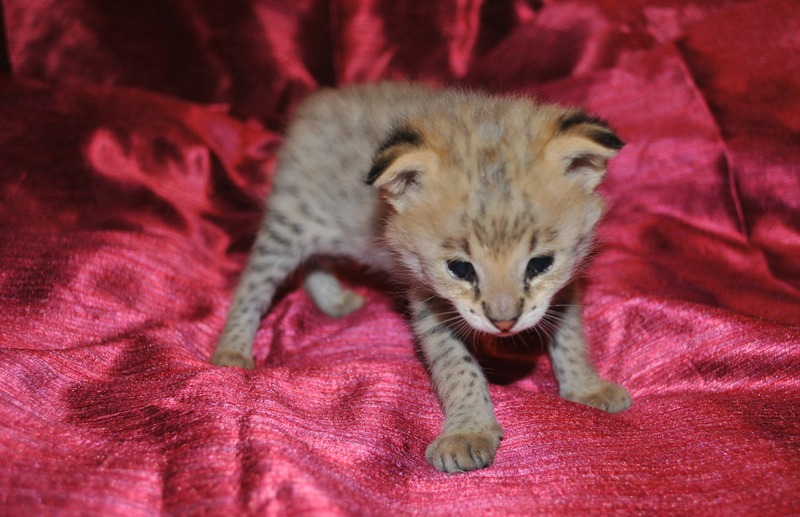 Q: When a Savannah or Bengal kittens are ready to go to new home? 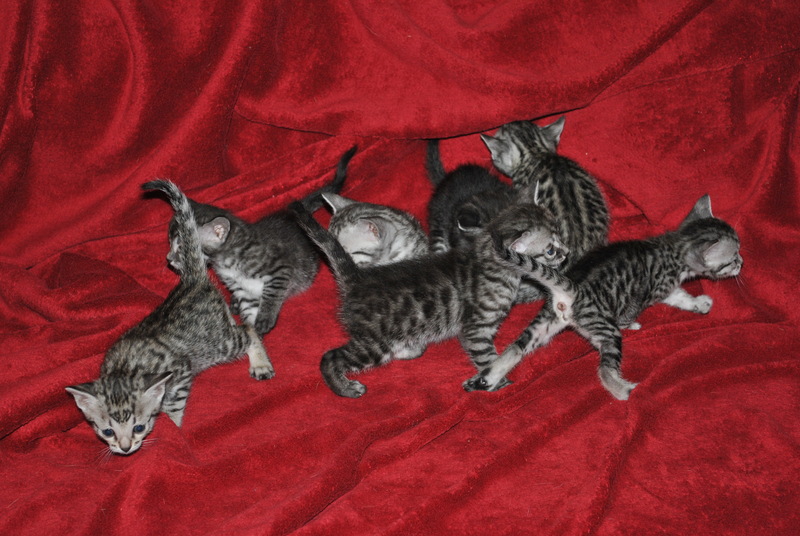 A: Usually our kittens are ready at the age of 9-11 weeks old. 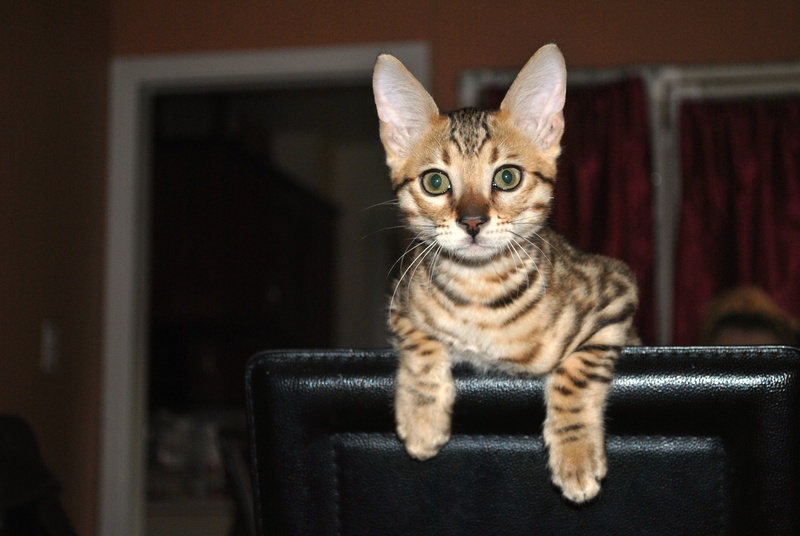 Q: What type of paperwork the Savannah kittens or Bengal kittens will go with? A: All our kittens will go with health certificate, vaccination record, TICA paperwork, in case if kitten will have to be shipped after 12 weeks old, he/she will have rabies vaccination done as well. Q: Are you kittens free of FeLV, FIP, PK Defficiency? A: All our parents are tested regularly and all are NEGATIVE for FeLV, FIP and PK Defficiency. 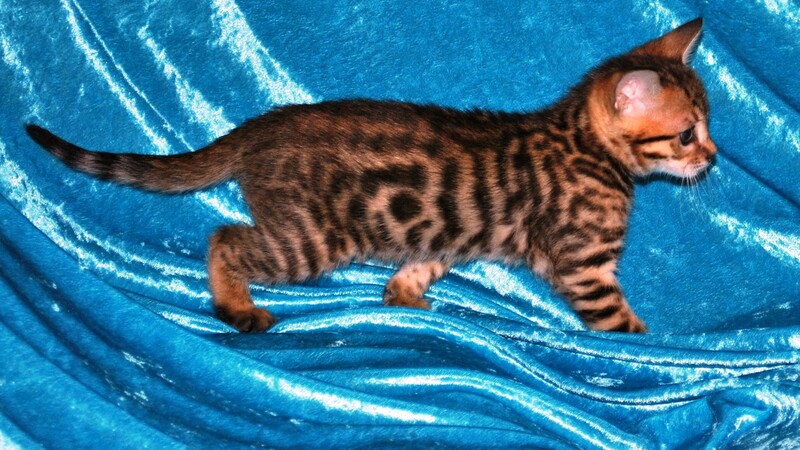 Q: Any advice on bringing Savannah kitten or Bengal kitten home? A: It is very important to note that quick changes in diet can cause your new kitten to become ill, specially the first month after arriving home. After you bring your new kitten home you MUST transition to the new food very slowly over the course of 2-3 weeks. 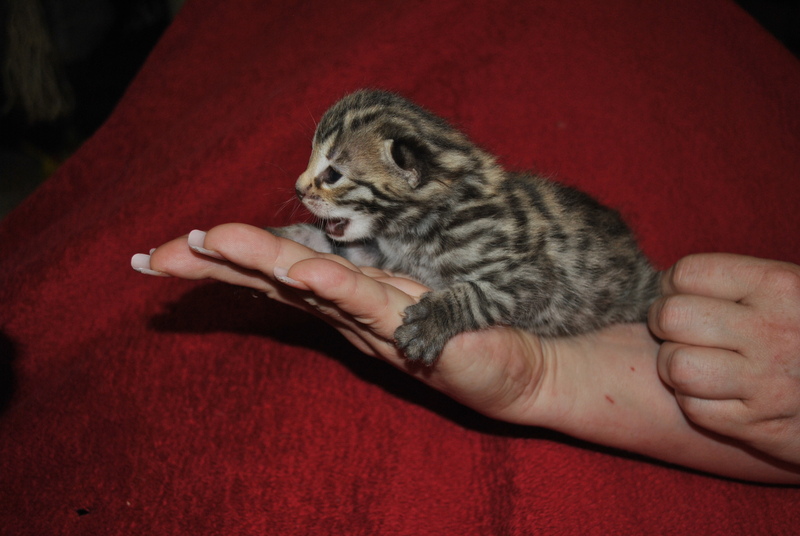 We will teach you what and how to transition your kitten before you will take him from us. 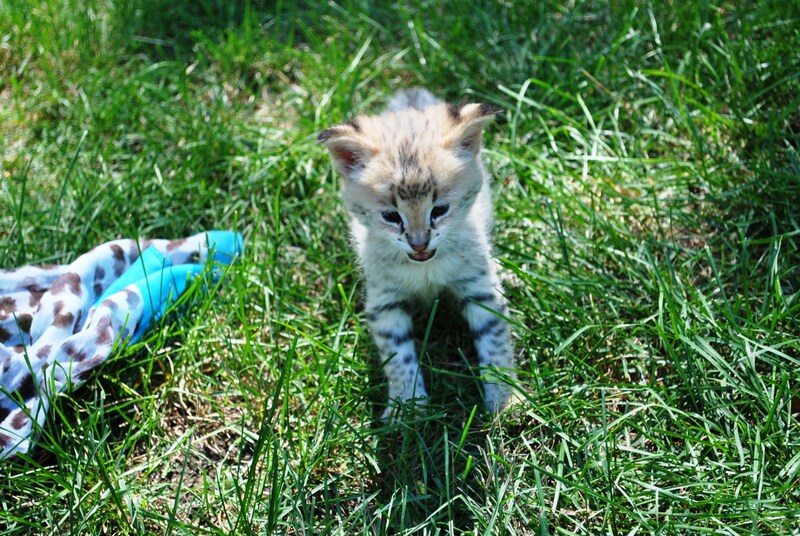 Q: Will your kitten will be litter box trained before going to new home? A: Yes, all our kittens are litter box trained. We are using a “Pine Pellets” litter and suggest using this litter vs clay litter. The dangers of clumping litter when kittens or cats will lick their paws to clean them after the litter box, they can and will ingest the clumping litter and can end up with a blockage of the intestines. In this case, the cat would need a surgery to save his/her life. You can get the pellets at any local Petsmart or similar store, or any store with the staff for horses care about $5.00-6.00 for 40 pounds. In farm stores it will have a name “Pine Pellets Horse Bedding” We not recommend to use a corn pellets, because they are did not absorb the urine smell. 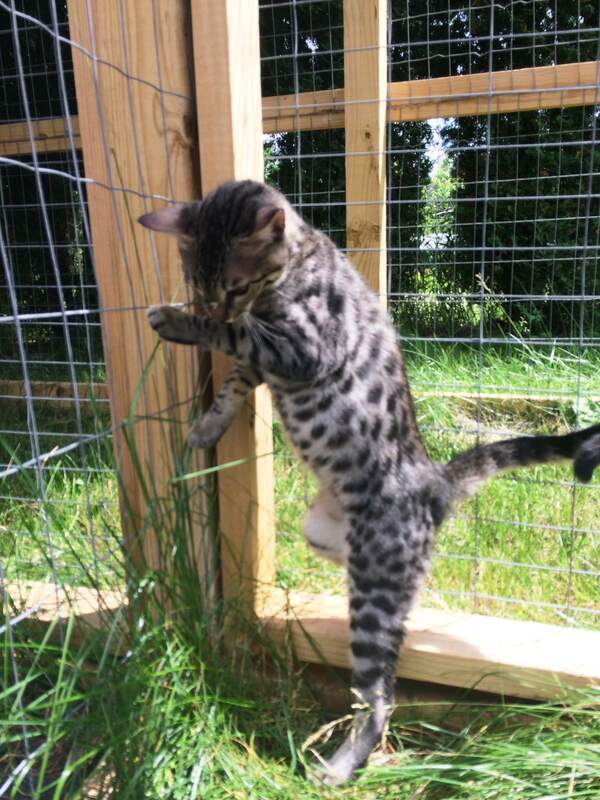 Q: Is a Savannah or Bengal cats are spraying? A: The Savannah and Bengal male and female cats have the same behavior as domestic cats and can start spraying to mark they territory. If you fail to neuter or spay your cat, you may be at risk of spraying. 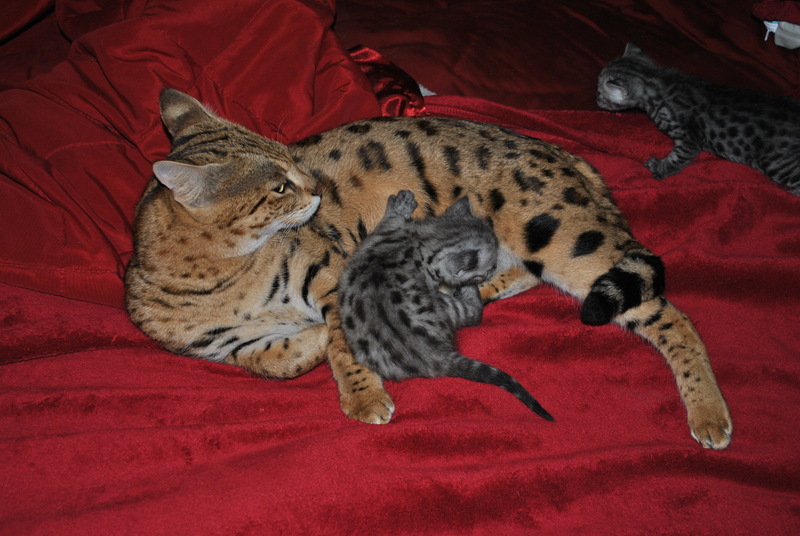 Q: Is there any special care for Savannah kittens or Bengal kittens? A: NO any special care, your kitten can be treated as a regular kitten, however we are not recommend to use Ketamine for surgeries, please advise your Veterinarian to use Isoflorine gas instead. 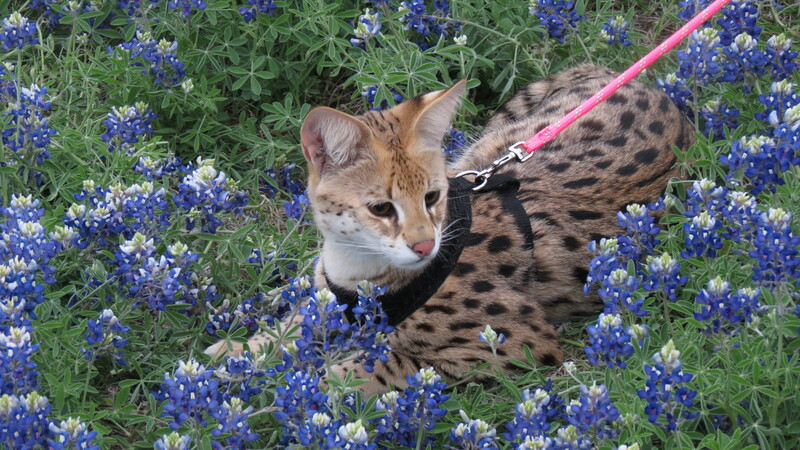 Q: Can Savannah cat or Bengal cat be leash trained? 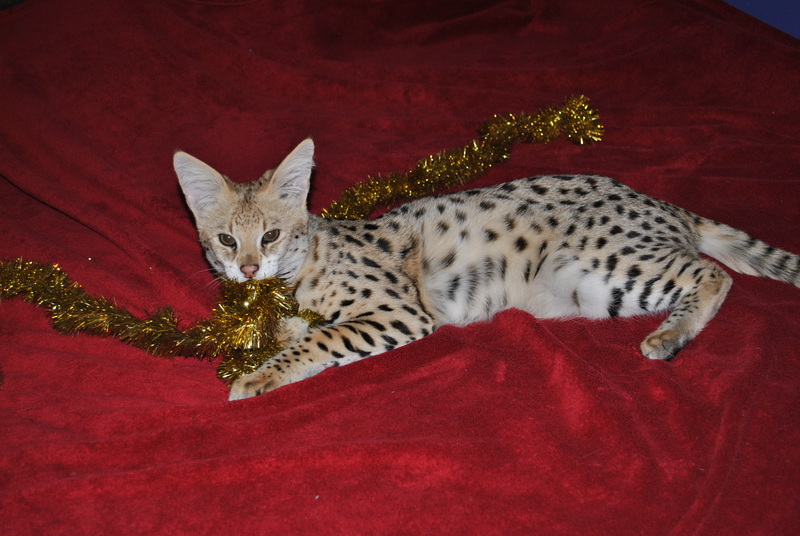 A: Yes, Savannah cats and some Bengal cats love to walk on a leash and will learn very quickly due to their dog-like personality. You can use a special harness or walking jacket. 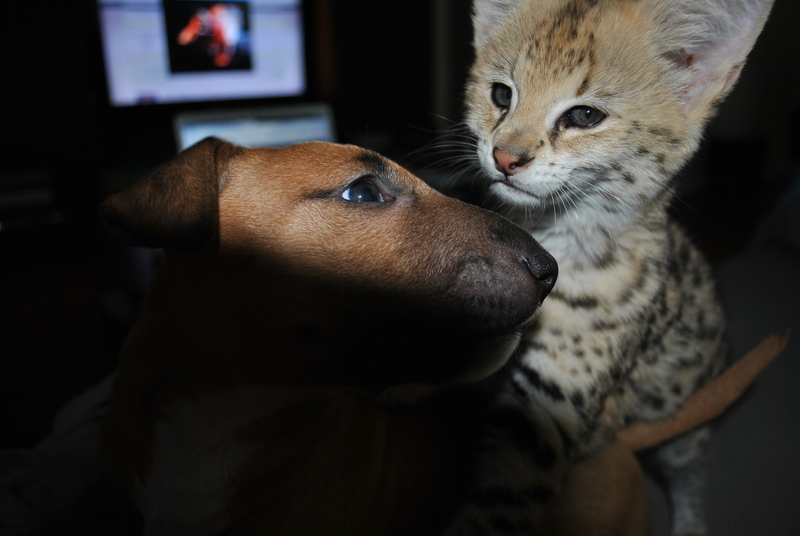 Q: Is a Savannah cat or a Bengal cat legal everywhere? 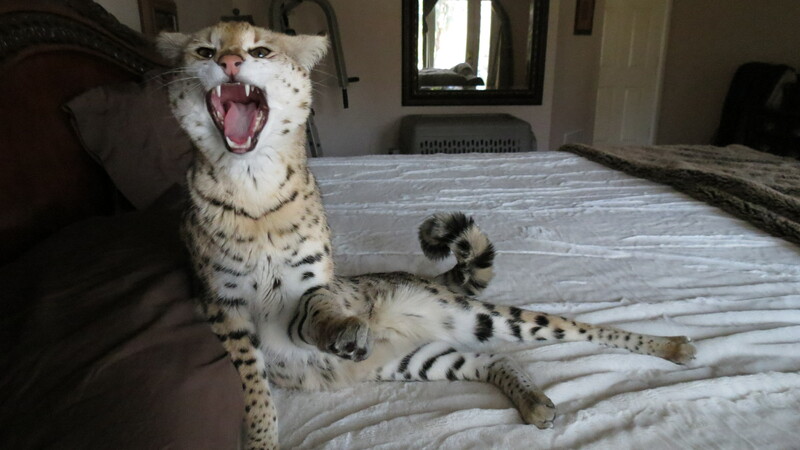 A: In some states the Savannah cat or Bengal cat is legal starting form F4 generation. 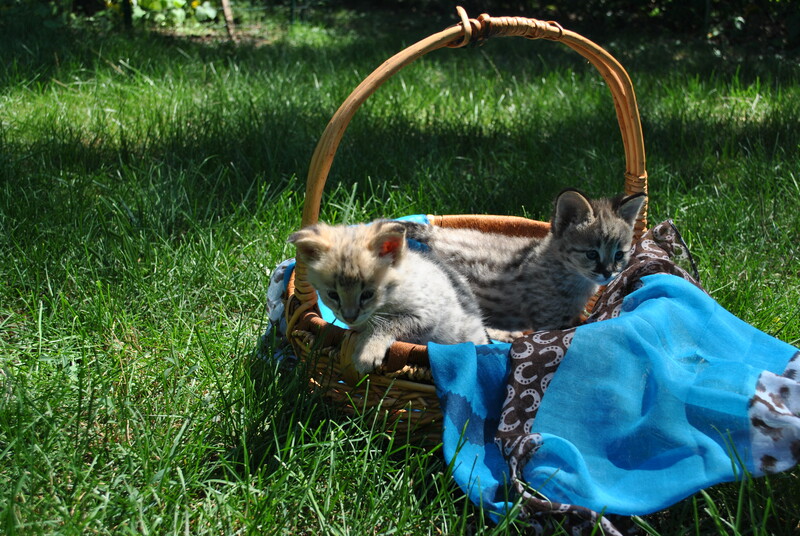 We are highly suggested to check your state and local regulations before adopting a Savannah or Bengal kitten.